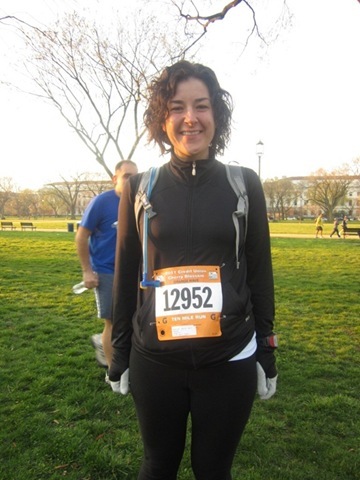 The race start time was 7:30am, so I woke up at 6:15 and groaned a little bit but then got up. My goal was to leave by 6:45 and I had laid out most of my clothes the night before so that made it pretty easy because all I did was get dressed, eat, and go. I had a little bit bigger pre-race breakfast than usual. I actually unpeeled the banana thinking I was out of bread, and then realized I had some bagel thin’s in the freezer. Rather than waste the banana, I ate it too! 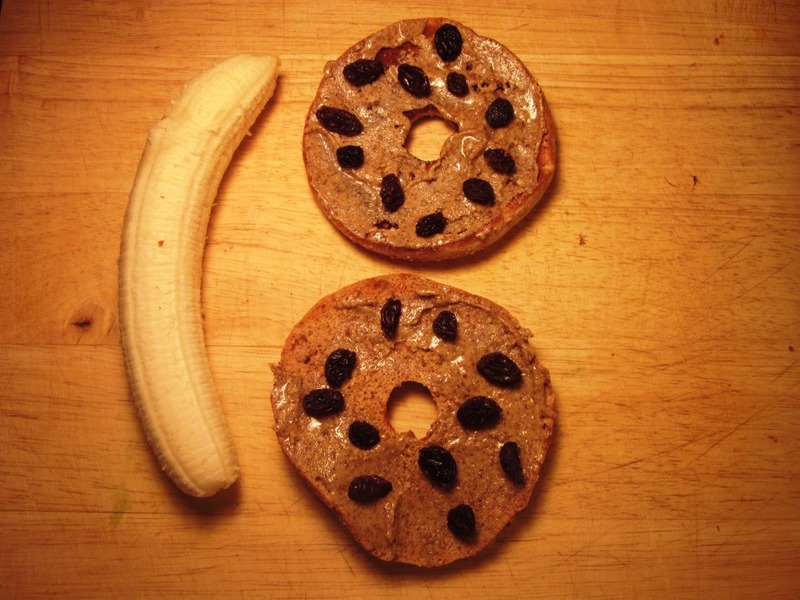 Almond butter and raisins on a whole wheat bagel thin, with the banana on the side spread with some extra almond butter. Yum. Then I drove over to Georgetown and found a parking spot almost immediately. 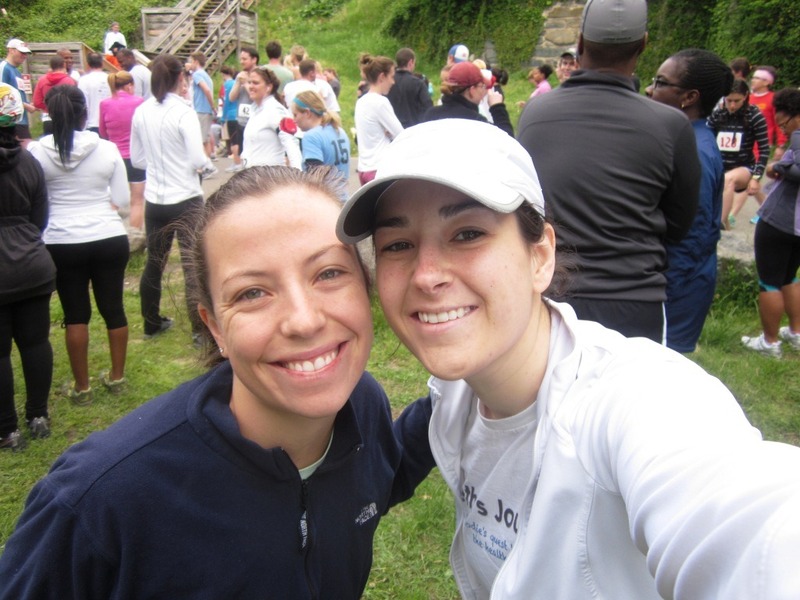 My friend Amber was running the race with me, so we found each other and then headed to the start area together. 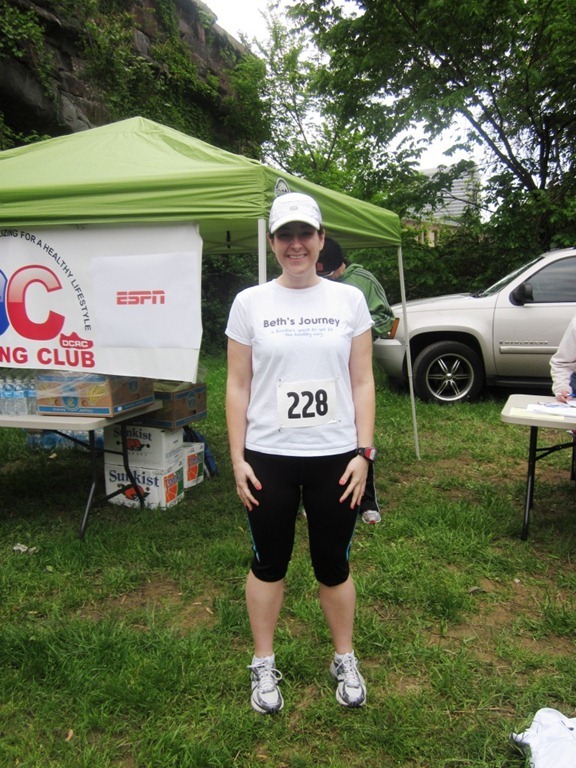 The race itself was wayyyyyy smaller than I’m used to, and I really liked it! 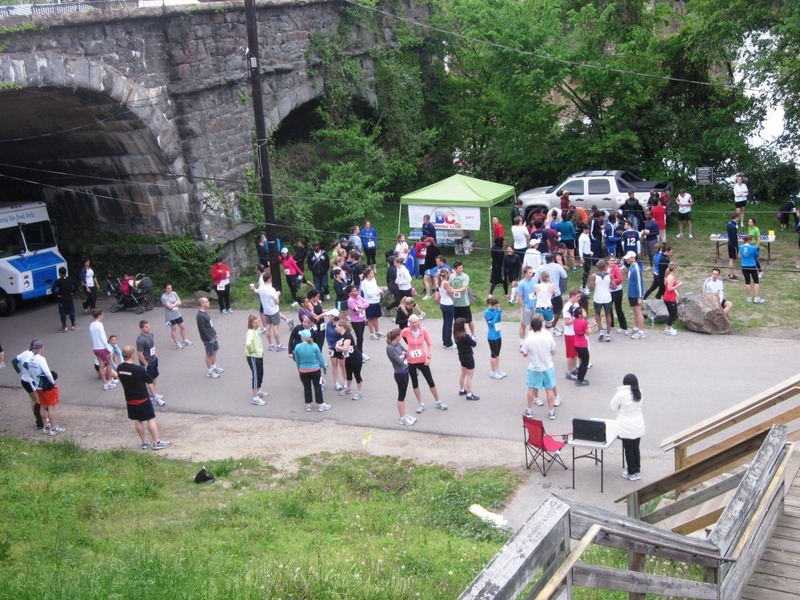 There was only about 250 runners, so there weren’t long lines or lots of time before you could get to the race start. 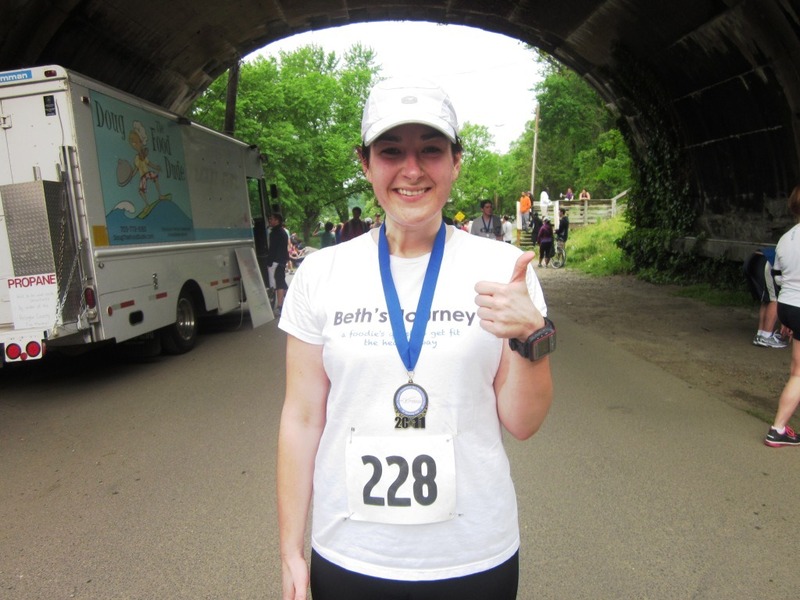 The weather was PERFECT, so I got to race in my Beth’s Journey shirt for the first time!! My only complaint was that the turn around point was not marked at all! They had said it was around the Mile 8 marker (the trail itself was marked), but all the runners (myself included) were very unclear where it was so that was a little annoying. Other than that, the race was great! I loved that it was small, low key, flat, and that I had run almost 5 miles before 8:30am! Amber did really great too and I got to snap some pictures of her crossing the finish! She was booking it at the end! Everyone who finished got a medal, which I also LOVED! We hung around for the “awards ceremony” which was the race organizers handing out 2 t-shirts. I had more fun posing for cheesy pictures since I didn’t win a t-shirt. When I got home, Wil said “You look like a professional!” Ha. Not quite, but I appreciate the compliment! What are you most looking forward to this weekend? I was really excited for this morning’s race, and in a minute we’re leaving to see Wil’s mom for the night, so that should be fun too! I cannot believe tomorrow marks the end of the first third of 2011! I’ve barely accepted that it’s actually 2011, much less that we’re approaching the half way mark. Cah-razy. At the beginning of April, I set some pretty lofty goals and didn’t do as well on them as I like to do. I do think I did a really good job with some things like being consistent with exercising, meal planning, and healthy eating for the most part, but I think that I set too many goals for myself to keep up with, so I’ll work on that for May. So was it an Awesome April? 1. Meal Planning Mondays. Check on this one! You can see week one, two, three, and four. I planned out my meals for the week and posted my grocery loot each Monday. I really have enjoyed doing this on the blog and it seems like you guys like it too, so I plan to keep it up until further notice. 2. Continue to exercise 3-4 times a week even though I’m not training for anything. I’ve been doing really good with this one and have been loving NOT training for something. 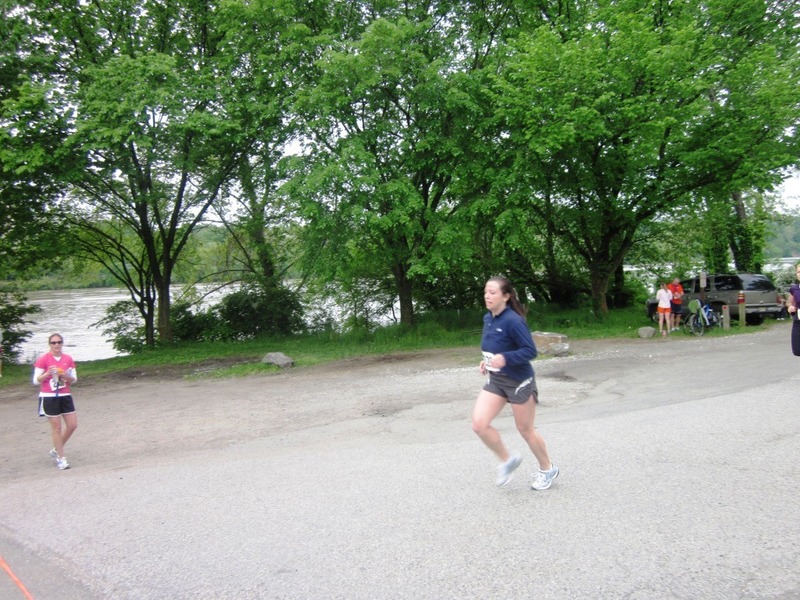 You can see my workouts here, but it was fun to change things up and not just be running as my only form of exercise. 3. 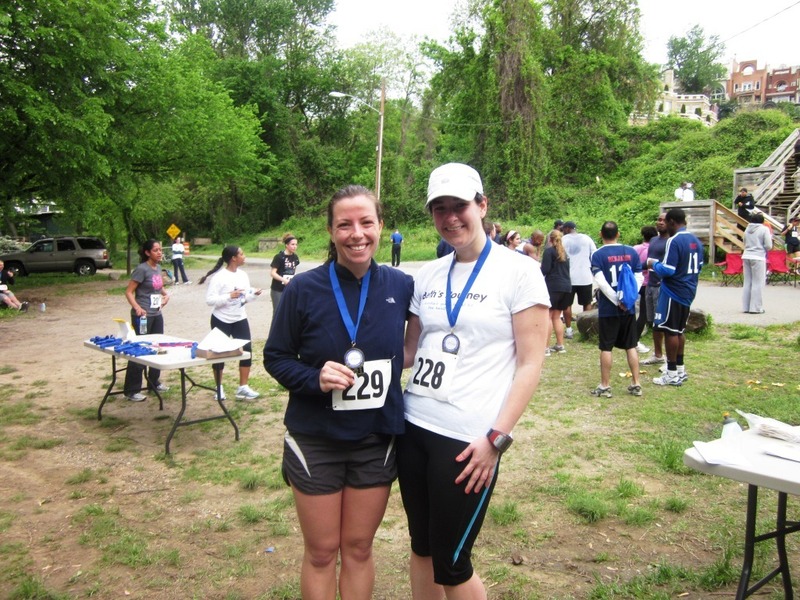 Enjoy Sunday’s Cherry Blossom 10 Miler. Check plus! It was the best race I’ve ever run and I also finished the fastest of any long race. 4. Strength train 1-2 times per week. Check! I’ve been MUCH more consistent about strength training now that I’m not training for a race, and I’ve been loving it. I’ve been doing The Shred, free weights, and a little bit of Bikram. 5. Continue to run 1-2 times a week so I don’t lose it, but also do cross training at least once a week so I don’t get burnt out from running. Check! I biked and did the elliptical for cross training and ran at least once a week for every week in April. 6. Focus on zoning into my goal weight. Fail. 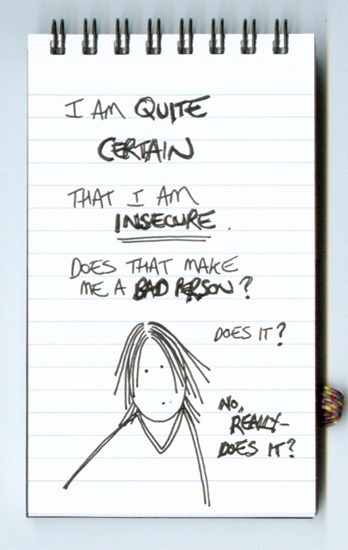 I am EXACTLY the same – 166. I have to lose 2 lbs to get to goal so that I can become Lifetime at Weight Watchers and hopefully become a Leader, but I literally made zero progress this month. 7. Post at least one video during the month of April on here. Yes! I did my first cooking tip video with how to chiffonade baby spinach. 9. Reorganize my kitchen and blog about it! Big fail. I did do a little pantry reorganization but I didn’t talk about it or show it on here whatsoever. 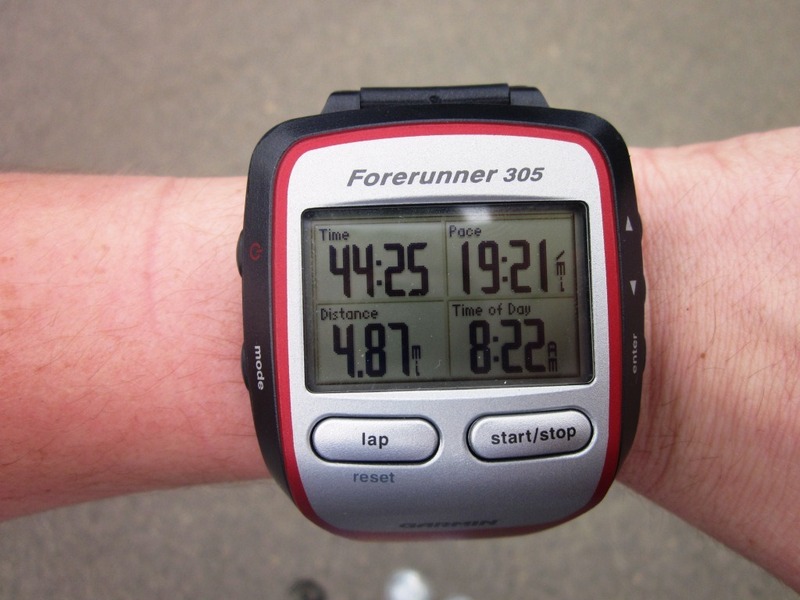 Develop a training plan for my upcoming marathon (!!!!!). Yikes. Keep up working out 3-4+ times a week. And keep it varied with running, cross training, and strength training! Post another video. I really had fun making the first cooking video and I think one a month is more than doable. Lose 2 pounds. This will bring me to 164, which is my goal weight. That’s .5 lbs a week average. I CAN DO THIS. On goal setting: Do you tend to set a few weekly/monthly goals or have a big list? Which do you like better? Specific to my blog: Is there anything you love that you don’t want to see go, or things you don’t see that you want me to start doing? If you don’t know what a wheat berry is or have never tried them before, you are definitely not the only one. I get a ton of emails from readers asking about them – what they taste like, how I eat them, how I cook them, where I get them, etc. Since they are something I only discovered about a year ago but are awesome enough to make at least a weekly appearance in my menu, I thought I’d do a post dedicated to them. Though wheat berries do take a little time to prepare, they are super versatile, tasty, nutritious and totally worth it. So what exactly is a wheat berry? 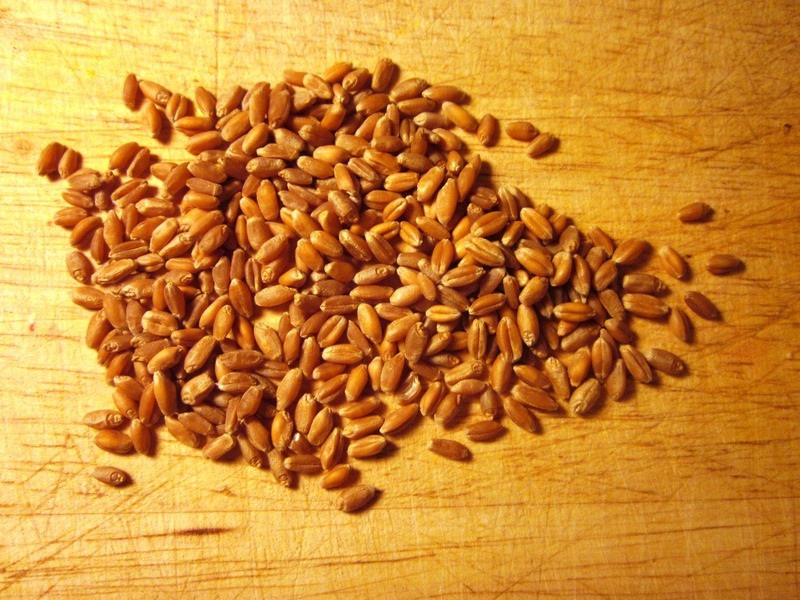 A wheat berry is an individual kernel of wheat – simple as that. They are actually what are ground to make flour, and come in different varieties from light brown to dark red. Wheat berries are chewy in texture and mildly nutty in flavor, and are absolutely delicious. 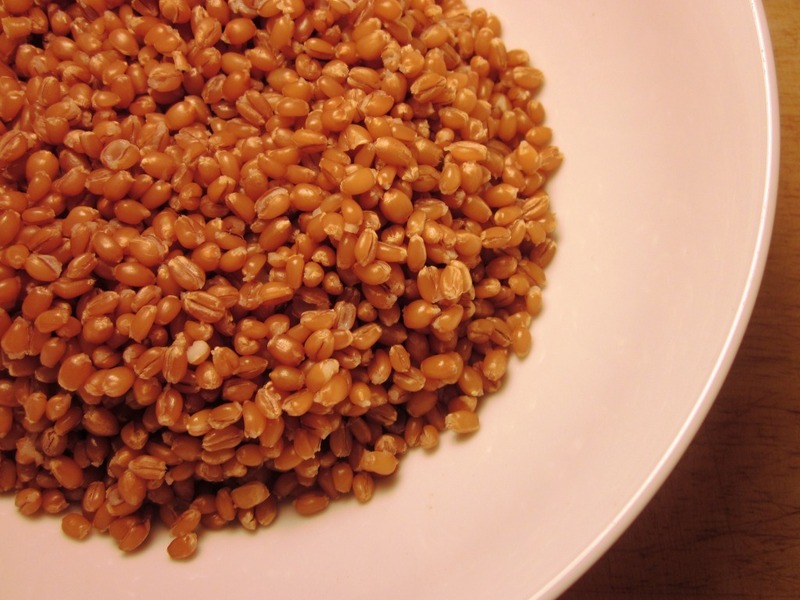 Are wheat berries good for you? Yes, wheat berries are very good for you! They are a whole grain, and there are tons of health benefits associated with consuming more whole grains, like reduced risk of heart disease and certain cancers. They are also very low in fat, loaded with fiber and protein, and contain many other essential nutrients including iron, calcium, and Vitamin E. They are also lower in Points+ than other grains, clocking in at just 2 pts+ per half cup cooked, so they make a great addition to many different meals. Where can I buy wheat berries? 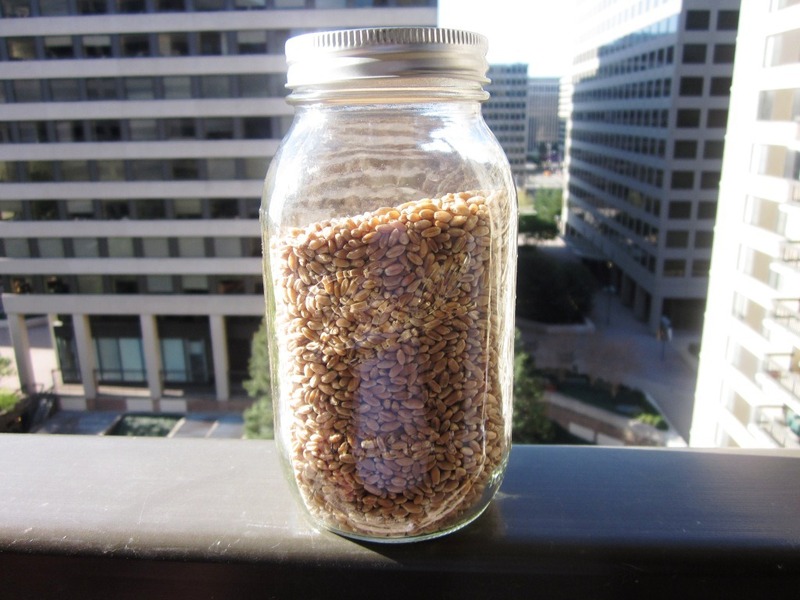 Wheat berries should be stored in an airtight container in a cool, dry place, and can last up to TEN years! 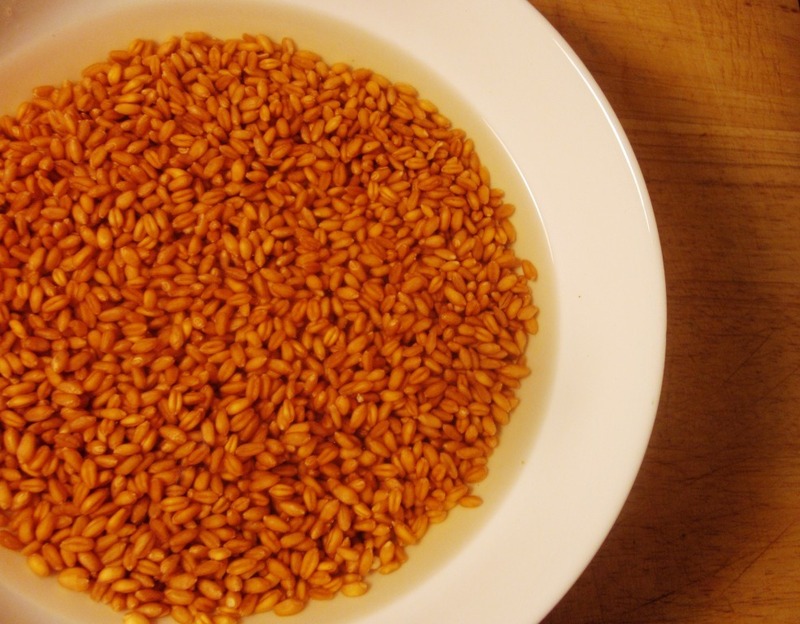 How do you prepare wheat berries? Wheat berries are a little time consuming to prepare, but totally worth it because if you make a big batch over the weekend, you can use them throughout the whole week. They do require soaking, so you want to start by measuring out the amount you want to prepare and soaking them for 6-8 hours, or overnight. Once they are done soaking, the water will have a little orange/brown-ish tint to it. Drain and rinse them once they are done soaking, and they are ready to be cooked. 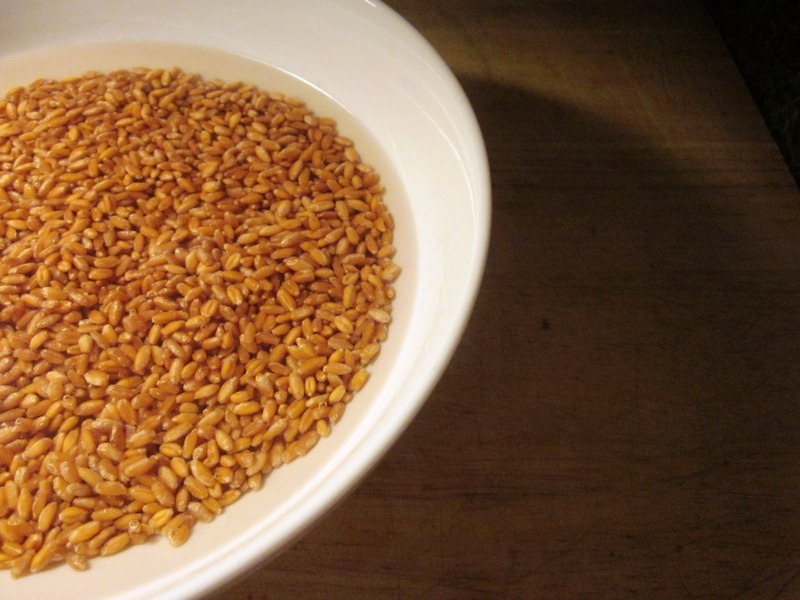 Add them to a pot with a 1-3 ratio of wheat berries to water, and cook them for 50-60 minutes. When they’re done cooking, they will still be chewy and not too soft, but you should be able to very easily bite through them. I usually let them cool and then store them in a tupperware in the fridge until I’m ready to use them. What can you do with them once they’re cooked? 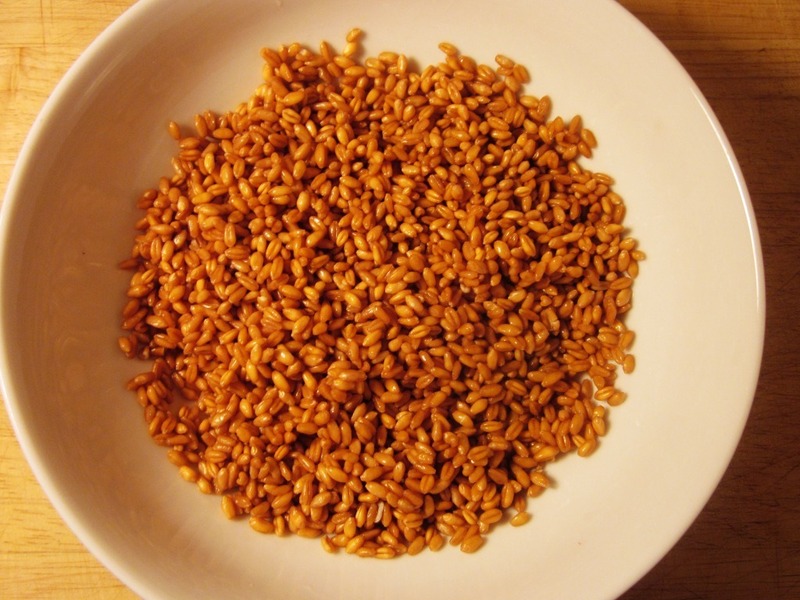 Wheat berries are super versatile and can be used pretty much anywhere you’d use brown rice or any other grain. I have them for breakfast several days a week with greek yogurt, berries or other fruit, and a splash of vanilla extract. I love that I can just pack everything up in a container the night before and they require no heating or additional cooking so I can just grab them and go in the morning. 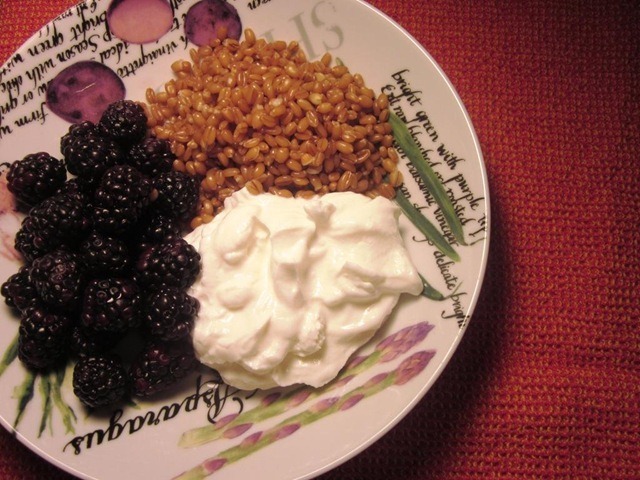 Have you tried wheat berries before? 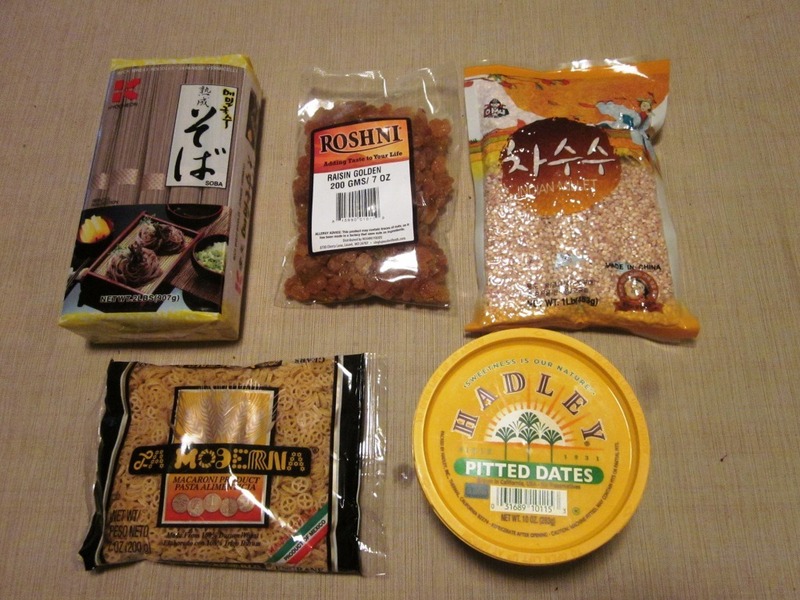 What’s the most recent new-to-you food you’ve tried? It was the first and only time anyone has ever seen me and recognized me from the blog and it was such a flattering and cool/strange experience, but I was SO happy when she said hello! After talking for a while as we got our toes done side by side, it turned out we had more in common than just enjoying pedicures. 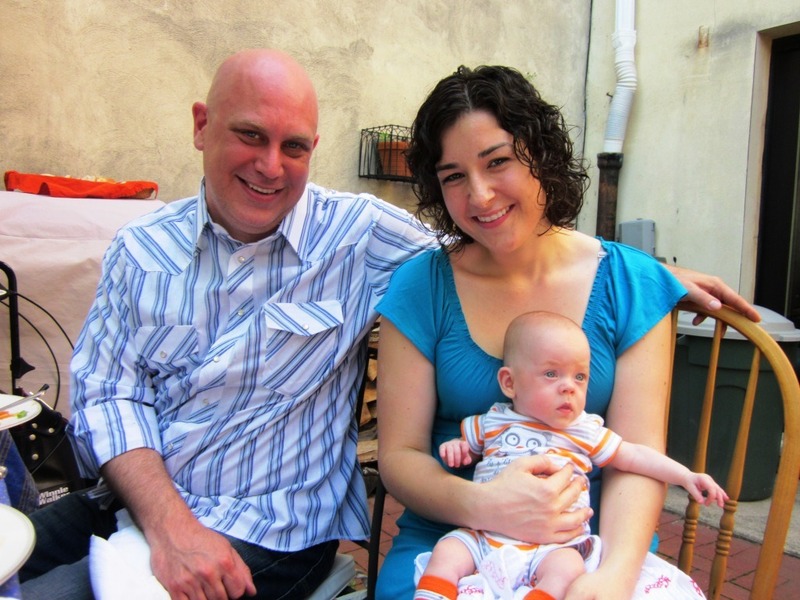 Jessica is a publicist for Linda Roth Associates, Inc, a group that does publicity, marketing, and promotions for restaurants in the DC area. 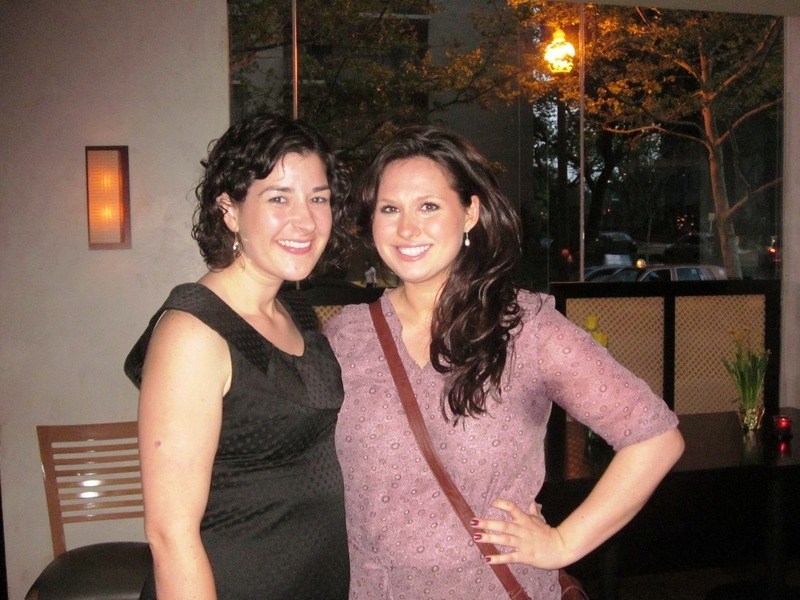 She asked me if I would “mind” if she invited me to some DC foodie events and you can guess my answer! 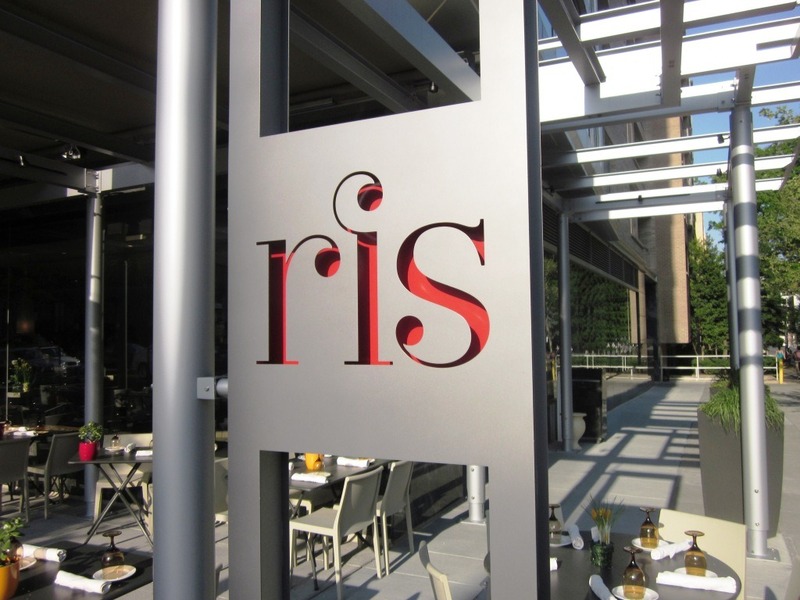 So Monday night, I got to go to this amazing cocktail party held by her firm for food bloggers/food enthusiasts at Ris, a cute upscale American comfort food restaurant. 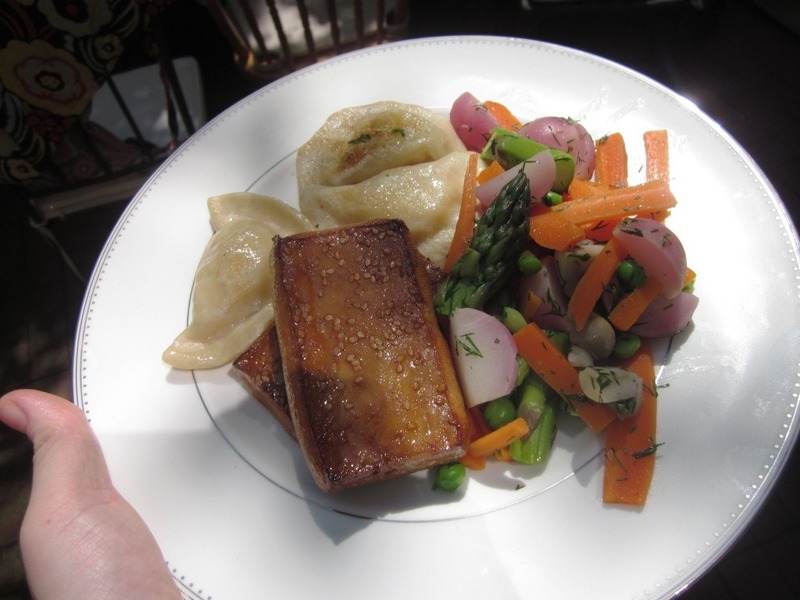 The party was planned to showcase some of the new features on their late spring/early summer menu, and I was blown away by so many things I tasted. To start, the bartender made these incredible cocktails that were going too fast for me to get a full picture. Dark ‘N Stormys on the far left with rum, house-made ginger beer, and lime; and Elderflower Collins towards the right, which was my favorite cocktail of the night. 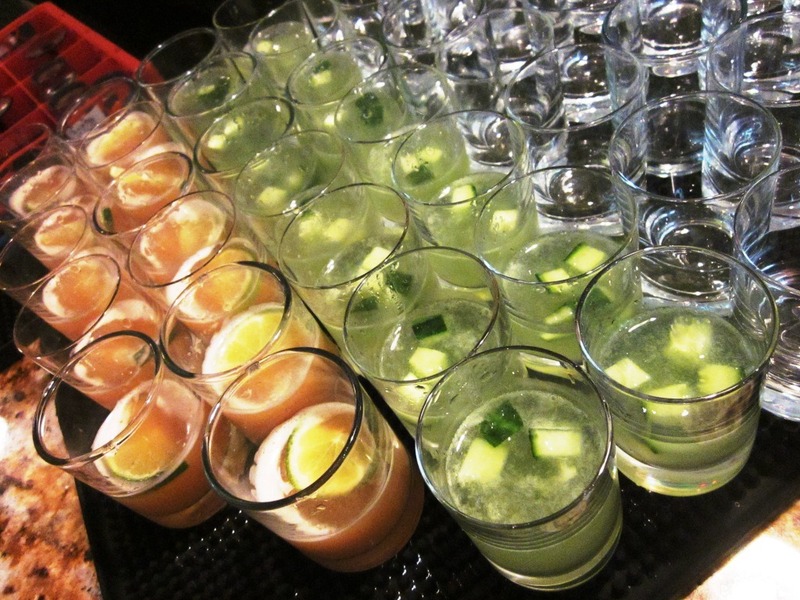 It had Hendricks, St. Germaine, cucumber juice, lemon, lavender spice bitters, soda, and pieces of fresh cucumber. It was light, refreshing, and absolutely delicious. 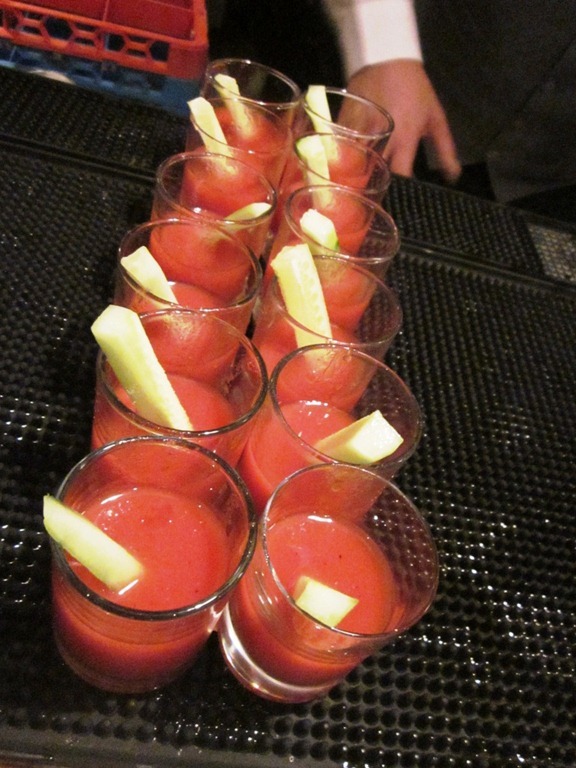 A close second was the Bloody Wasabi that came out later in the evening – Ketel One, Wasabi Tomato Juice, and cucumber. It definitely felt a little weird to be drinking this at night and not to nurse a hangover during brunch, but this was one of the best bloody marys I’ve ever had and something I’ll certainly order when I go back to Ris for brunch. The food was equally as good as the cocktails, if not better. I loved that it was all served in small bites so I got to try a little bit of everything. I also loved that there were several rounds of all the dishes so I got to get seconds (or thirds) of some of my favorites. There were two small plates that tied for first place of my favorites of the nights, with a third as a close second. To start, my first bite of the night – the Scallop Margarita. I can’t even articulate the incredible flavor explosion that was on this spoon, but I can tell you I had not one but FOUR of them. 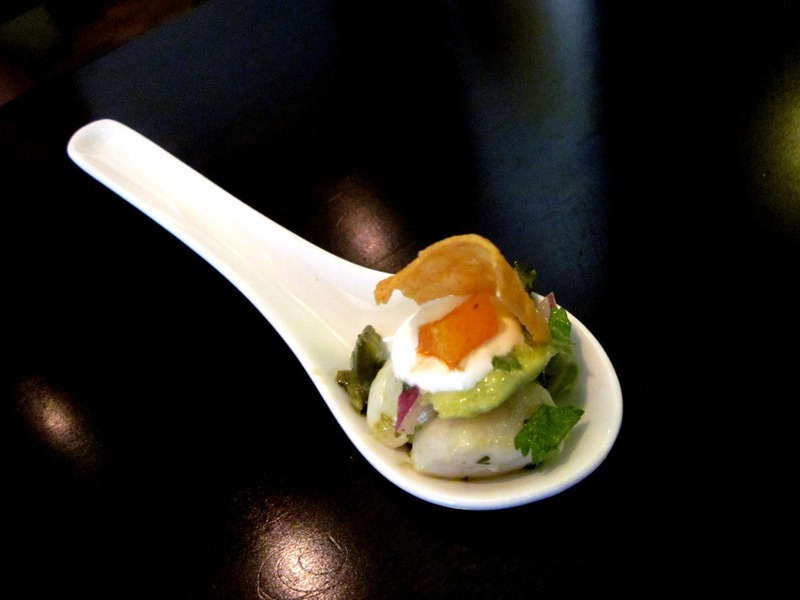 It was seriously the perfect bite, with lime marinated scallops, chiles, orange, avocado, tequila ice and a fresh tortilla chip for a garnish. I ate it in one bite, and the flavors and textures were perfect and so well balanced. The recipe for this one is on the website! 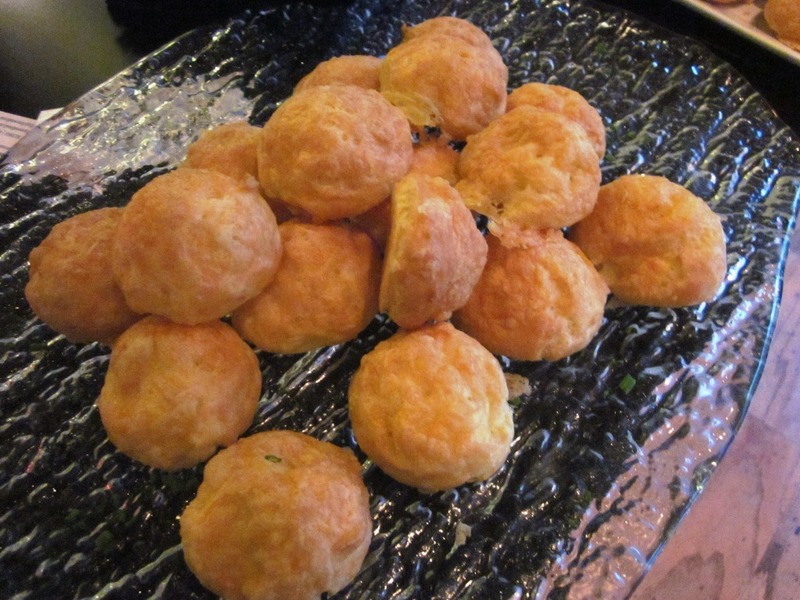 My other favorite was the gruyere cheese puffs. Puff pastry and melty cheese? Yes, please. These bites were so delicious that I practically tackled the server from behind to get my hands on a second one. I cooled down a bit after that, but was pleasantly surprised when they placed a whole tray of them down towards the end of the night. You can guess where I parked myself until those were gone.. The runner up for best bite of the night for me was the Asparagus and Gingered Grapefruit Salad. It was drizzled with a sesame, scallion, and miso vinaigrette that added a surprising but welcome spicy tang to the dish. This one feels like something I’ll be attempting to recreate at home. 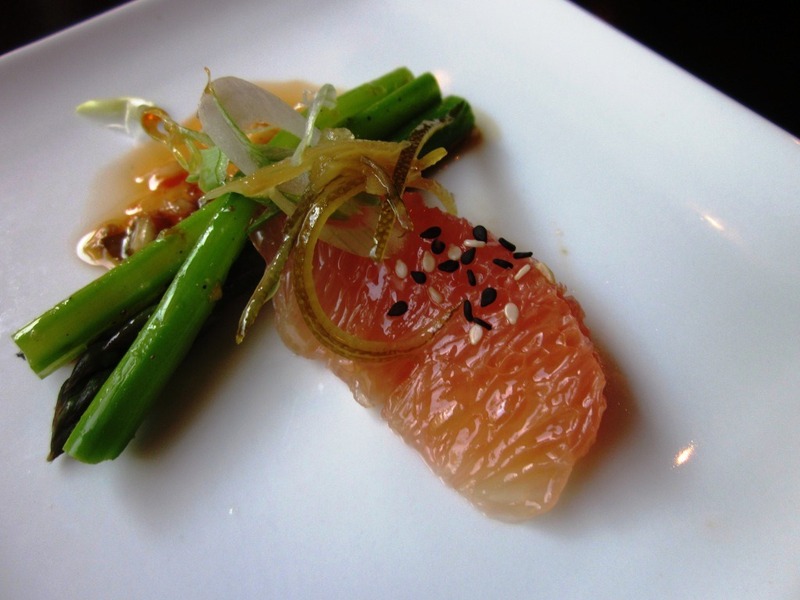 The grapefruit and asparagus went so well together and thinking about eating a huge version of this (perhaps with crab or shrimp?) on my balcony sounds just about the perfect summer night. Though those three were my favorites, there were plenty of other delicious bites that I got to try. Molasses (!) 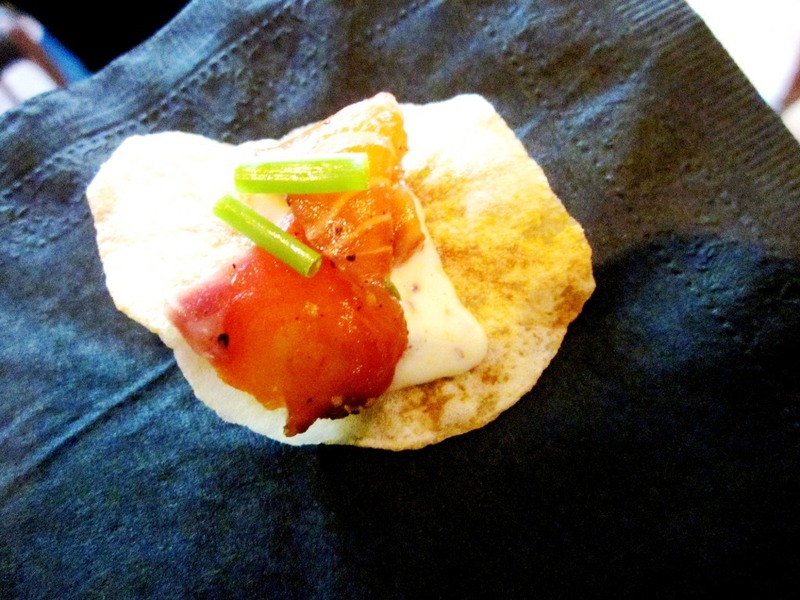 cured salmon with honey mustard on a house made potato chip. 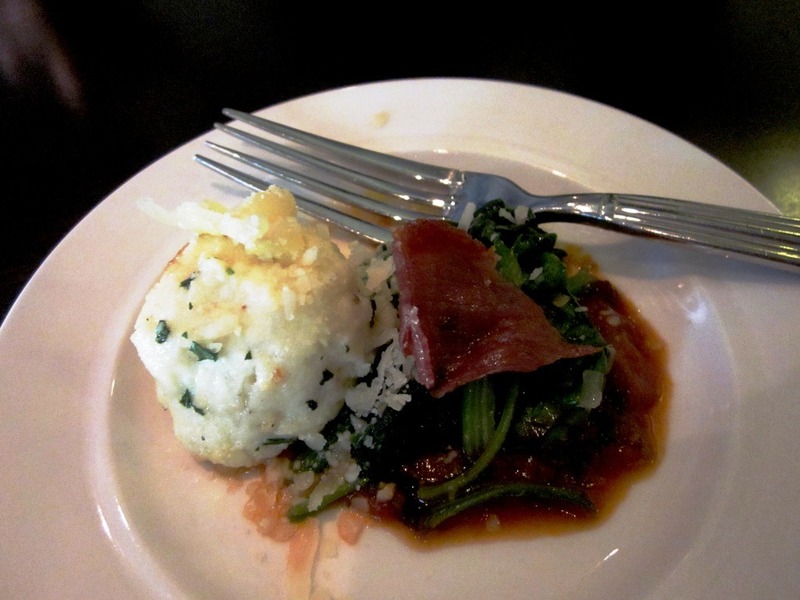 Gnudi – fresh ricotta dumplings served over a tomato and eggplant fondue, with spinach and crisp proscuitto. 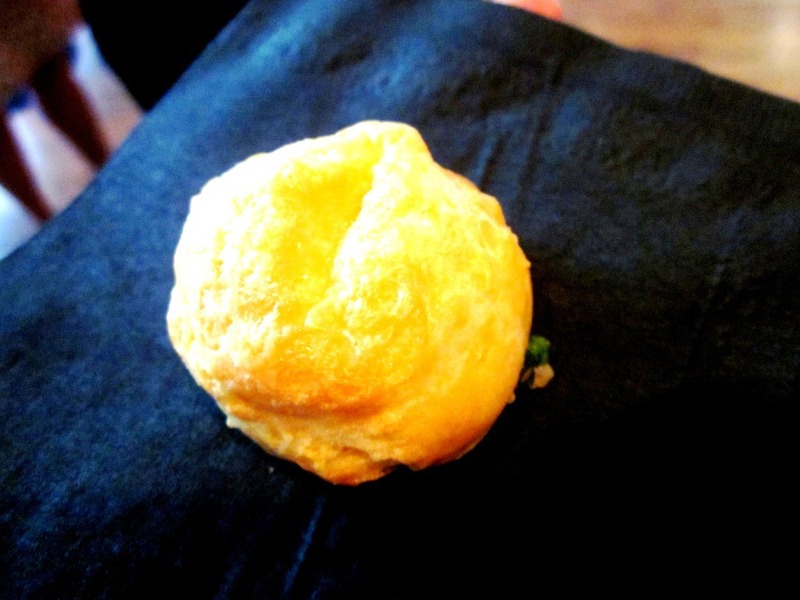 I just ate the dumpling and the texture was out of this world. Oh yeah – and dessert. Check out the care that went into making these. 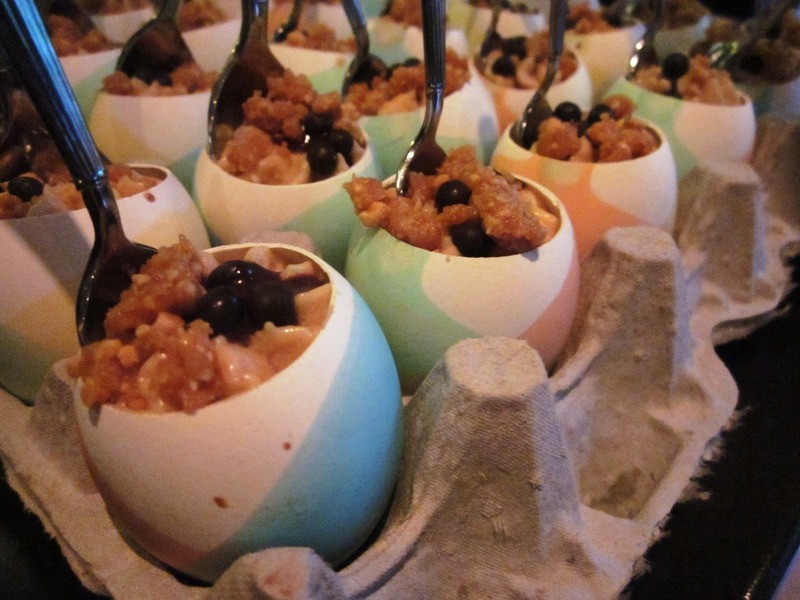 Hollowed out egg shells that were hand painted and filled with melted chocolate, peanut butter mousse, and chocolate covered peanut brittle. I don’t think words can do that dessert any justice. Peanut butter, chocolate, and chocolate covered peanut brittle – I mean what’s not to love? I had two of those and while I probably could (should) have stopped at one – it’s not every day that you get to eat something as delicious as that. Wil and Alicia taking photos of the food without skipping a beat in the conversation. Only at a foodie event. 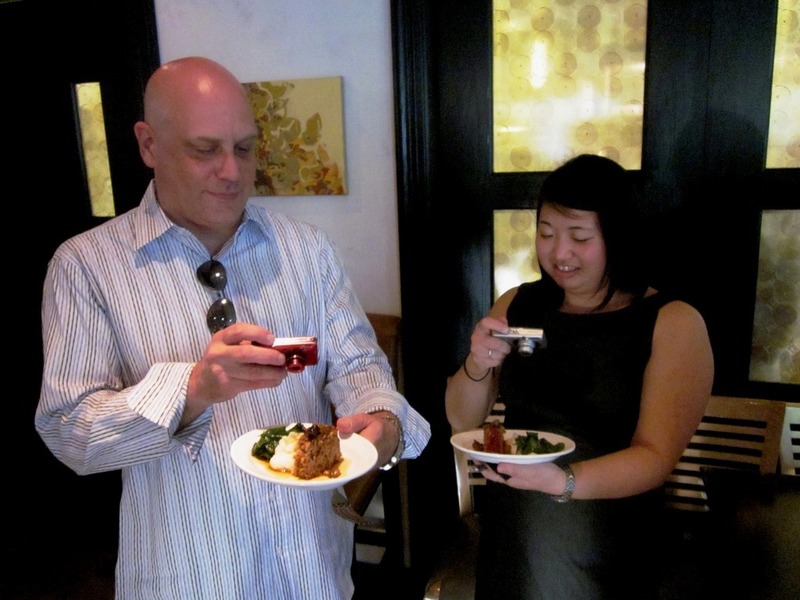 Have you ever been to a tasting event like this? Can you think of one of the best bites you’ve ever tasted? While our shared love of food was one of the main things that brought us together, it was also the thing that posed the greatest threat of Wil and I breaking up. 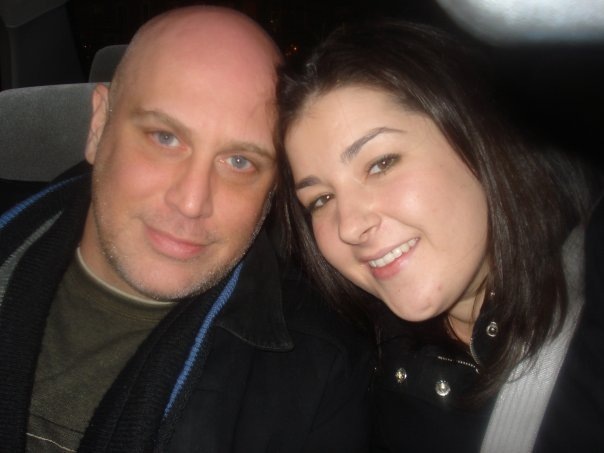 When we first got together, our typical weekly date night involved Top Chef and a trip to Whole Foods, grabbing one or two baguettes, three large hunks of cheese, a piece of pate, and one (or two) bottles of wine. This was just for the two of us and we’d chow down and easily polish off the entire purchase while watching the hour long show. While wine and cheese are still two of my favorites, eating a pound of cheese in one sitting (luckily) isn’t a weekly occurrence for me anymore. So it probably comes as no surprise that when I first decided I’d had enough with obesity and joined Weight Watchers back in March of 2009, Wil and I went through a pretty rough patch. He alluded to it a little in his guest post – but the struggle that went on between us really made it harder than his words showed. I remember one distinct night when he was cooking a meal for us and while I can’t remember exactly what it was, one of the elements was a salad. After he finished preparing it, I asked him how much olive oil he used in the dressing and he gave me a puzzled look. I went to the drawer and grabbed a teaspoon and a tablespoon measure, showed him, and asked him which of these he used and he was baffled by my question. In restaurants, they finish every dish that goes out to the diners with a heavy pour of olive oil and he couldn’t fathom paying any attention to the actual amount that went into it. I got extremely annoyed with his response and overreacted by refusing to eat the meal he had worked to prepare. After that night, the tension continued to grow between us and our very different styles of eating started to take the joy out of eating for both of us. I wanted to make separate dishes and weigh/measure my food, and he basically didn’t want to eat or cook at home very much anymore. I honestly couldn’t really blame him because it was ME who changed, and while the changes were mostly for the better, it was unfair of me to expect him to change as well just because I wanted to. Looking back, the bottom line was that I wanted him to cater to my new diet, and he just wanted to keep on living how he was used to. Chefs make dishes, taste them, add more seasoning or ingredients as needed, and perfect a dish in that way. Me asking him to use measuring spoons and/or a food scale to cook was along the same lines as asking an artist to paint with a blindfold on. The good news is that after the tension built up and then leveled off, we were both able to make some compromises to make things better between us, and to make both our inner foodies happy. I tried to make my “cheat day” on days when we would have a date night so I wasn’t so rigid with what I was eating if we went out to dinner or were cooking at home, and Wil started to appreciate healthy cooking and nutritious food a bit more. He spent some time teaching me a lot about cooking techniques and we started frequenting farmers markets to find new and exciting ingredients. He’s also the one who got me into going to Asian markets to find interesting products to work with, and experimenting with these things turned out to be a fun project to tackle together. I think moderation is definitely the “secret” of living healthy long term, and while I still struggle with it a lot, I’ve tried to become more moderate in my approach to healthy living in general. I stepped back a bit in being SO crazy with measuring and weighing everything (I’ll always be a little bit crazy…) and also by stepping up with helping in the kitchen. 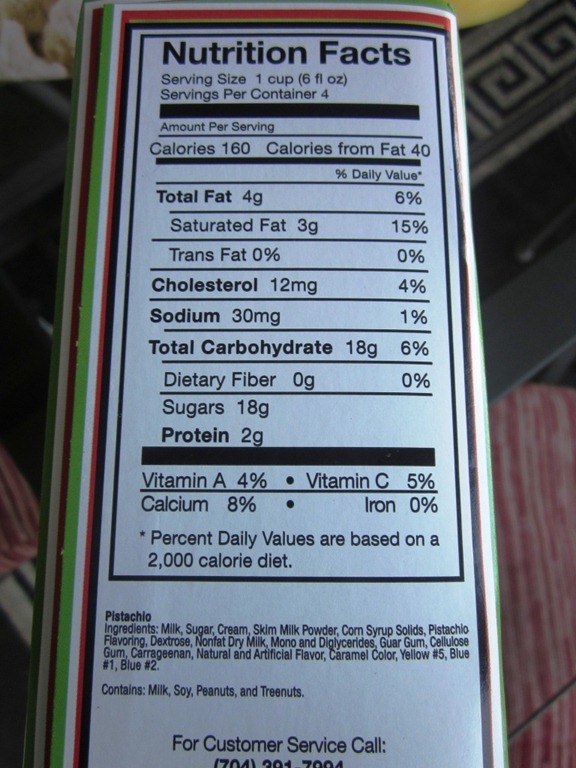 Wil compromised by putting more care into flavoring things with less added fat, and turning instead to herbs, vinegar, and other healthy sources of flavor. We also planted an herb garden together on our balcony and successfully killed every plant we had out there last year – let’s hope for better luck this time around. We still don’t eat together that much because of the nature of our jobs – I work a 9-5 and he works in a restaurant (well, four actually), but that actually works out well for us because we both get to eat how we want to most of the time. We try to keep junk food out of the house for the most part, and Wil obviously orders what he wants when we go out to restaurants so he can get his fix, but when we cook together at home, its usually fresh, local food so we both are happy and appreciate the food we’re eating. How has your relationship with your significant other, friends, or family changed if you made changes in your own life and way of eating? Was it hard to compromise? Easter weekend was SO much fun and I’m slightly depressed that it’s over. I got to spend a lot of quality time with the fam, and especially my favorite (slash only) niece Claire. 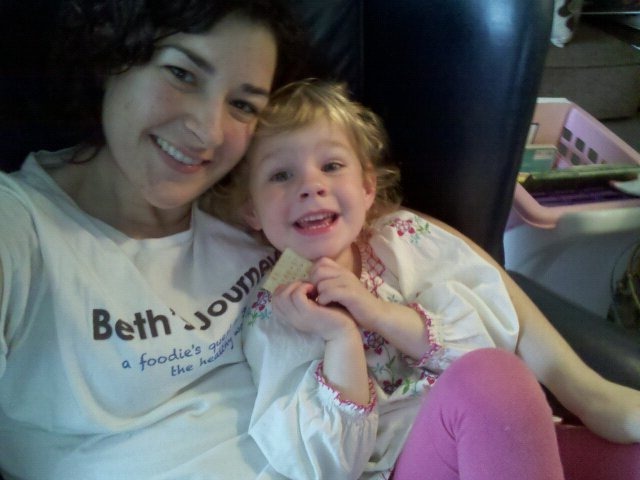 She is three and a half, completely hysterical and we are totally in love. I hung out with her for most of the day Friday and all day Saturday and over the course of those two days, we made Easter cupcakes, watched Shrek 3, played T ball, dyed Easter eggs, snuggled, and just generally had an incredible time. Unfortunately, her brother Ben was having an allergy attack and just to be on the safe side, they couldn’t join us for Easter on Sunday. My other sister Wendy’s baby Harper (that’s a mouthful!) is still really susceptible to catching anything he’s exposed to since he was born 4 months early and his immune system is still weak, so we have to be really careful. On the plus side, that meant that I got to be super selfish with Harper and keep him to myself for most of the day yesterday. He is doing REALLY great by the way, and is off oxygen now so he’s a free range baby! Trying to get a photo of everyone involved in this looking at the camera proved impossible, so that’s the best we could do. 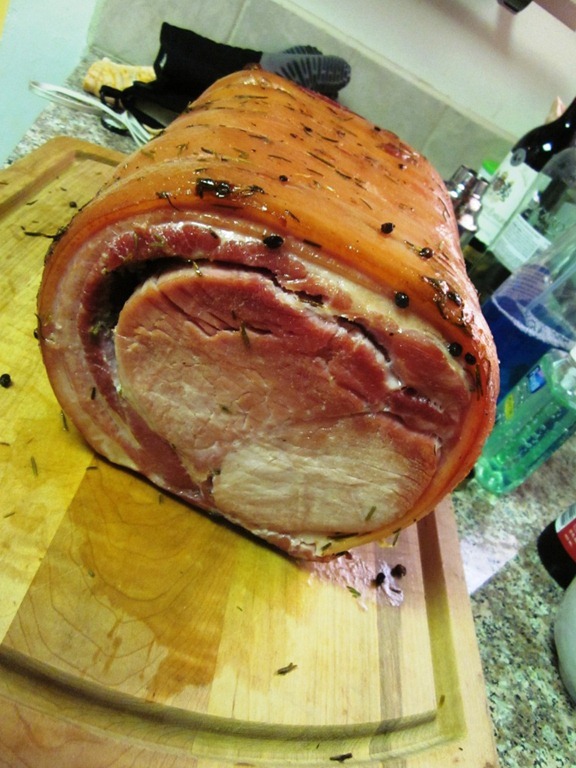 Wil got a fancy ham for the main course called a porchetta, which is basically a ham with the bones removed, wrapped in a whole pork belly. You’d think we were feeding a small army, but that 16 pound piece of meat was for just 7 of us, one of which doesn’t eat meat (me). There were lots and lots of leftovers and no one seemed the be disappointed at that fact. I had baked tofu in place of the ham, with the same glaze used on the ham consisting of orange juice, maple syrup, honey, and vinegar. The sides we had were peroigies and a spring medley of local, organic veggies cooked in veggie stock, dill, and a little butter. It’s funny because my family could not BELIEVE I didn’t eat the ham/wasn’t tempted by it, but to be honest, it didn’t even cross my mind. I think I’ve accepted the pescatarian frame of mind (seeing as it’s been a year and a few months) so it’s not something I have to really make an effort to do anymore, it just comes naturally to me. I think if my diet (I use the term loosely to encompass everything I eat) made me feel restricted in any way, I’d reevaluate, but I really enjoy the way that I eat and it really doesn’t make me feel deprived at all. If dessert was out of the question on my diet, that would be a whole different story and an immediate cause for reevaluation. 😉 Easter dessert was literally the best cheesecake I’ve ever had in my life! Ricotta Cheesecake from a local Philly bakery. 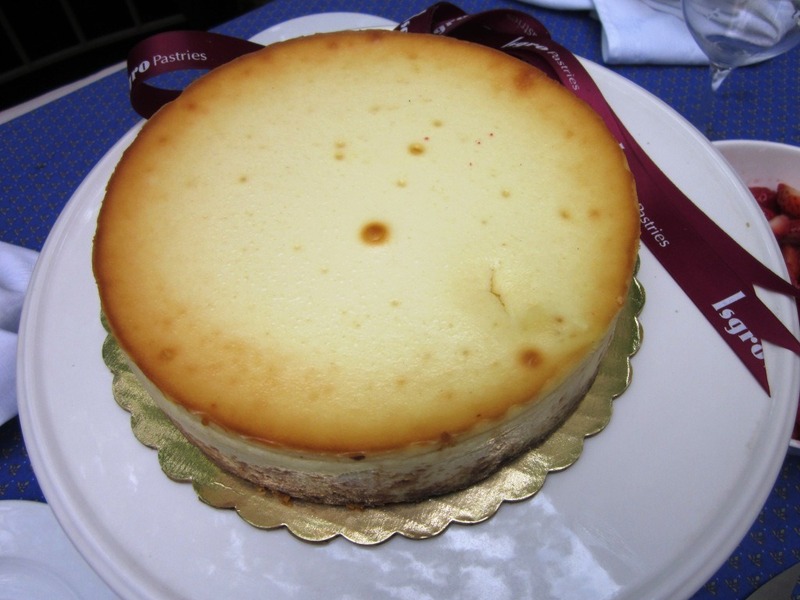 I’m not normally the hugest fan of cheesecake – I mean, I’ll eat it, but it’s not something that I crave really. This one though was light and fluffy because of the ricotta and the perfect amount of sweet. We served it with some fresh strawberries drizzled with a touch of vanilla scented liquor. Heaven. After the extended meal and dessert and lots of sitting outside and enjoying the gorgeous weather, we got on the road back to DC. It was almost 5 when we left, so we didn’t make it home until 8ish and I was just too beat to go to the grocery store. I wanted to just relax, order food, and watch TV, but I have a really busy week ahead and knew I needed to do a little bit of planning for the week, so I made a deal with myself. I ordered delivery Indian food for dinner last night and took the time between ordering the food and it arriving to do a little prep and planning for the week. I decided to hold off on grocery shopping until further notice because my fridge is actually pretty well stocked and I had enough on hand to make several meals. I may go to the farmer’s market Thursday (first time this season!!) to restock on veggies, but I think I can make it through the week without even going if I don’t feel up for it. 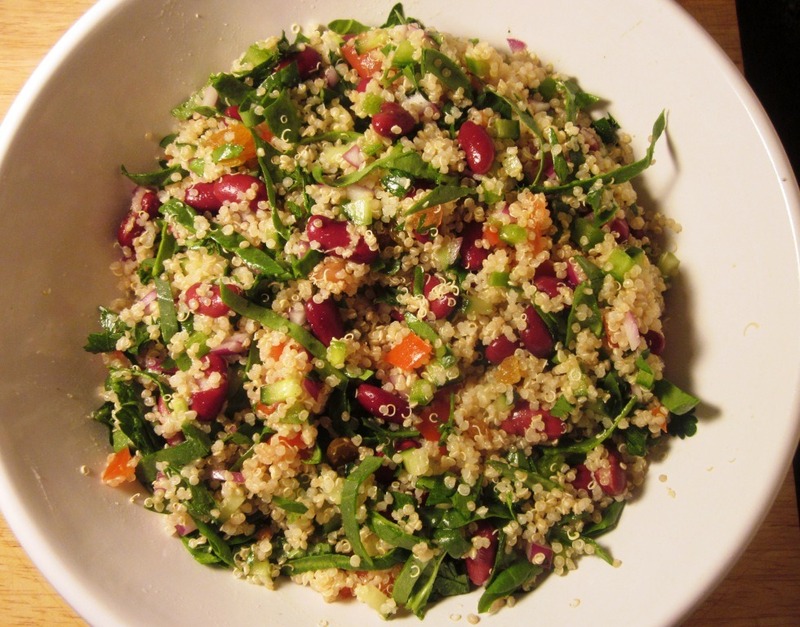 In the 45 minutes that it took the food to come, I whipped up another batch of quinoa salad – this time the recipe basically halved, without kidney beans since the quinoa is enough protein on its own (slash I didn’t have any). 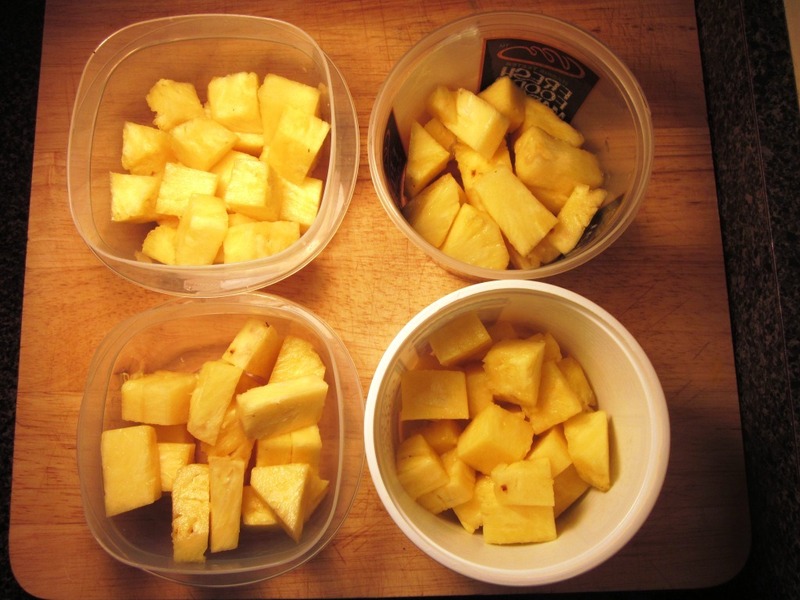 I also broke down the pineapple I bought last week and didn’t use and separated it into containers for the week. I can’t decide if it’s funny or sad that I’m freaking out a little bit about not having fresh bananas (I do have a few in the freezer). Bananas are something I have almost every day, and the thought of not having them is making me want to make a trip just for some bananas, but that seems a little pathetic. Let’s see if I can make it. 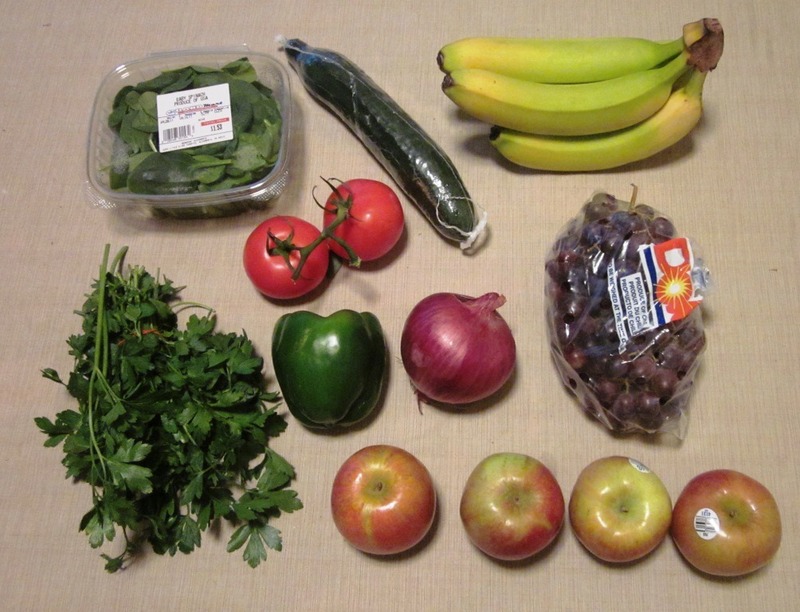 How often do you go grocery shopping? What’s the longest you’ve ever gone between trips? Every time the weather warms up, some version of this salad becomes a staple in my meal rotation. It’s super simple to throw together and extremely easy to change around based on the veggies, beans, and grains you already have in your kitchen, which makes me love it even more. A lot of times I’ll make this exact dish with couscous instead, but this time I went with quinoa so there was a double dose of protein. It would work great with millet, wheat berries, or pretty much any other grain you can think of – literally, any grain goes. Printable recipe here. Entire recipe (as it is here) yields 7 1-cup servings, at 4 pts+ each. 28 pts+ for full recipe. To start, prepare 1 cup of whatever dried grain you are working with. Since I went with quinoa this time, I rinsed it, then combined it with 2 cups of water and simmered it for 15-20 minutes until all the water was absorbed. It’s best to let your grain cool a bit, so you can make it in advance if that’s easier for you. The rest of the recipe is easy peasy, and it really takes no time at all. I got together all the veggies I wanted to use and got them ready for the salad. 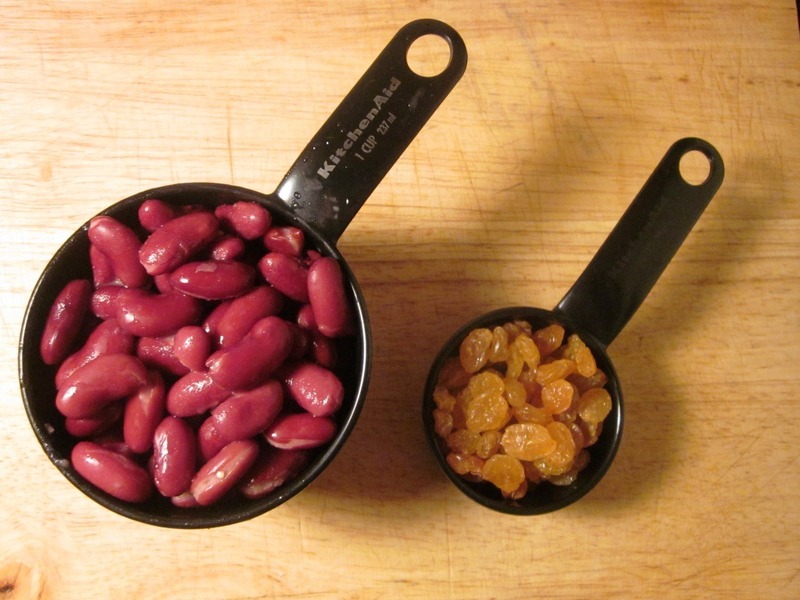 I also added 1 cup of kidney beans for an extra protein kick and 1/4 cup of golden raisins for a little something sweet. And it’s done! 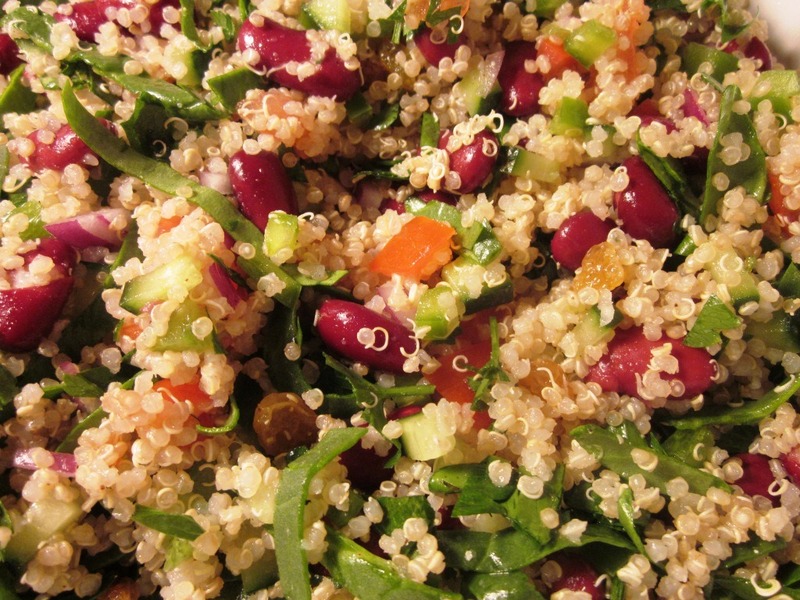 This is a beautiful salad that is easy on the eyes as well as the taste buds. If you’re not a fan of raisins, you can do craisins, dried apricots, mango or grapes instead, or omit the sweet component completely. 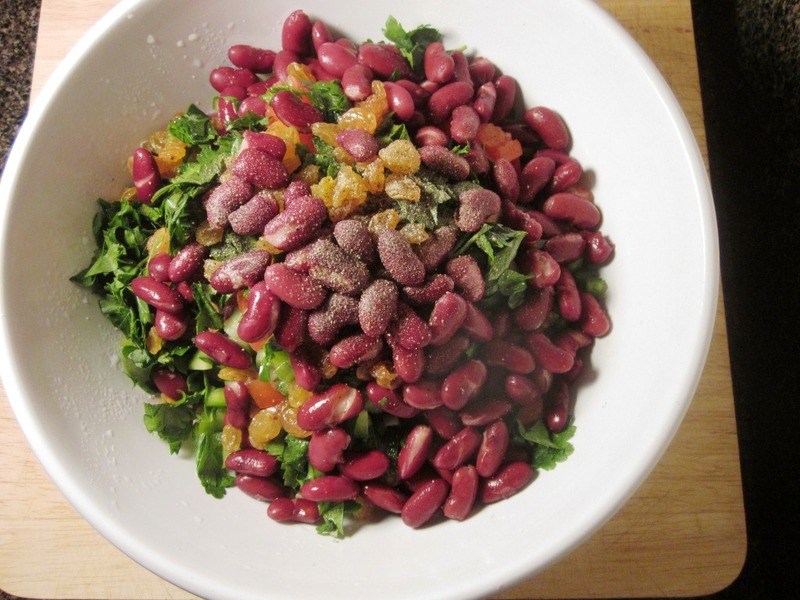 You can also use chickpeas, black beans, pinto beans, or any other kind of bean in place of the kidney beans, but I thought those added some nice color to the dish. 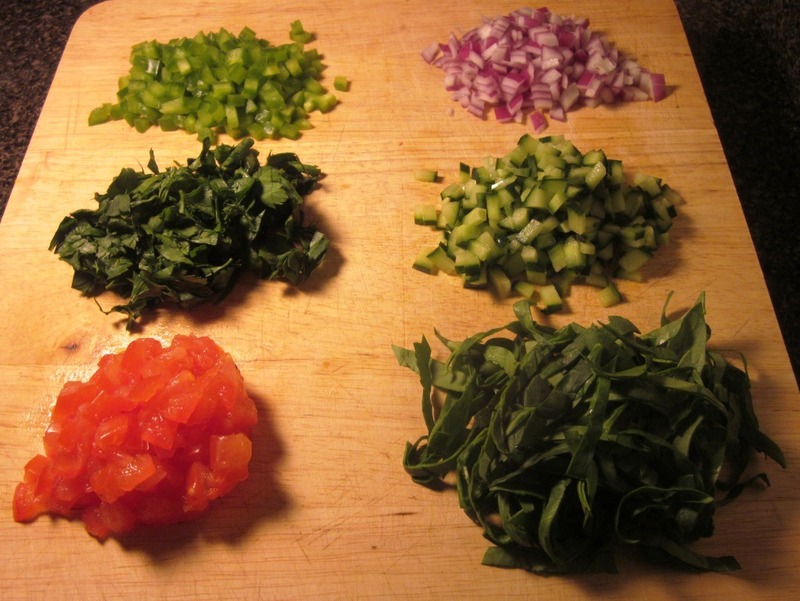 When you’re picking out your veggies, try to have a few different colors in there, since we eat with our eyes first. And, it’s great to use a fresh herb if you can! I used parsley this time, but you can experiment with basil or anything else you can think of. This salad gets better with time, which is one of the best things about it. The flavors mesh together overnight and it is very delicious as leftovers. You can combine it with some feta or goat cheese and have it in a wrap, or do like I did last night and mix it with egg and bread crumbs, form it into patties, and cook it in a pan for a delicious veggie burger. Anything goes! 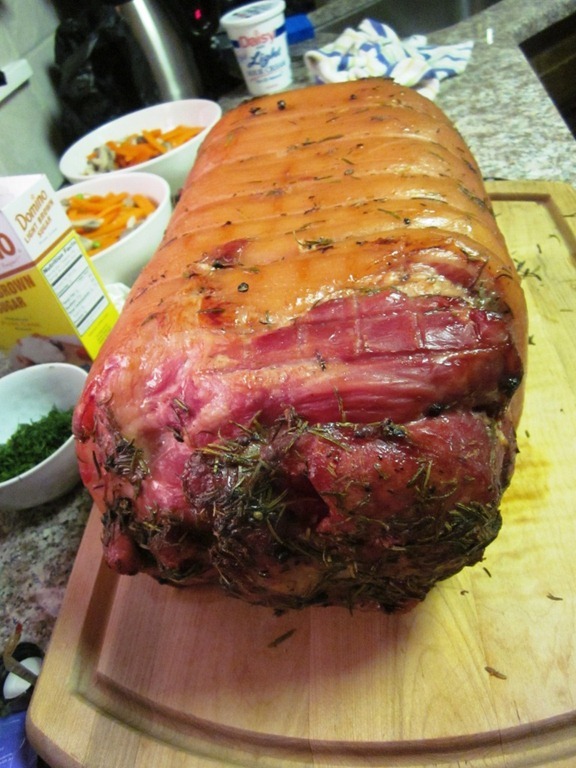 What’s your favorite recipe or food for the spring/summer time? It should come as no surprise that there are some pretty huge differences between how I live my life versus how I lived it prior to dropping 80 pounds. Sure, there are several things that have stayed the same – I’ve always loved making others laugh, bargain shopping, performing well at my job, spending time with friends and family, getting 8 hours of sleep, and watching TV. Outside of those things though, my take on life is very different these days, and not just in what I ate or how much (or little) I exercised. If you’ve been reading my blog for a while, you probably have a good sense of what a typical day is like for me now. I do a rough plan of my meals for the week over the weekend and pack my breakfast/lunch/snacks the night before. I usually work out in the morning before work a few days a week, unless I have a plan to go to a class or do a bike ride at night. There is an occasional crazy night out during the week, but most nights I try to take it easy and cook dinner, have a date night, work at a Weight Watchers meeting, or go out for dinner with a friend I haven’t seen in a while. While this is the me you’ve grown to know and love (wink, wink), let me take you through a typical weekday for me back when I was first adjusting to life after college. Groggy from one too many drinks the night before, and after pressing snooze the exact number of times I knew I could, I’d roll out of bed at the last possible second. I’d rush through the motions of the morning to get myself out the door as quickly as possible – brush my teeth, get dressed, do my makeup, grab my purse, go, go, go. I’d get my exercise in by hurrying to the metro, just squeezing through the doors before they closed me out and I’d have to wait 12 minutes for the next train. After the adrenaline rush from almost missing the train had passed, and I’d caught my breath from running, I’d search for a seat to melt into for my 15 minute ride to work. Once I got off the metro at my stop, my stomach would be grumbling so I’d swing by the deli downstairs from my office to pick up breakfast. My go-to meal was a bacon, egg, and cheese sandwich on a sesame bagel, plus a hot coffee loaded with half and half and splenda. I’d anxiously tap my foot as the bagel toasted, since I had very little time to spare to get to my desk. Once the sandwich was in hand, I’d rush upstairs to plop myself into my desk chair for the day, not pausing until I couldn’t ignore the hunger pangs anymore and it was time to eat again. I’d go back to the same place for lunch since it was so convenient to my office and I only had a few minutes to be away from my desk. My typical midday order was a California Chicken Sandwich, upgraded from regular bread to a hoagie roll, with chicken, bacon, avocado, cheese, mayo, and maybe some lettuce, plus a side of fries or a bag of chips. I’d usually grab a Coke Zero and/or a bag of gummy bears to round out the meal. Once my workday was over, I normally find myself at a happy hour with friends, where I’d guzzle down 4-5 glasses of wine (I’ve never been a beer drinker) and then allow the alcohol to dictate my dinner choices for the night. I’d almost always go with delivery pepperoni pizza, Chinese food, or Chipotle. My roommate and I also would stop by the 711 on the way home most nights to grab an ice cream toll house cookie sandwich (so good) with pork rinds and/or a slim jim for dessert, and then settle into the couch to watch TV until bedtime. Then, I’d go to bed, wake up the next day, and do it all again. 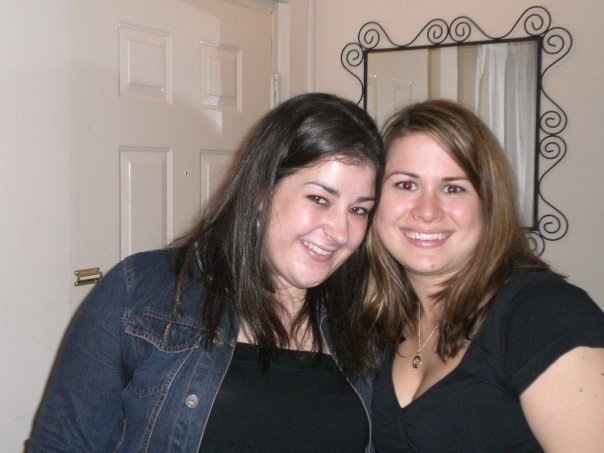 This was obviously during a time in my life where I wasn’t really trying to do anything about my weight and was instead embracing being young, having fun and finally being completely on my own. I think it can be all too easy to forget what life was like “before” when you make huge lifestyle changes like I have, so I honestly struggled a little to remember what my typical day was like back then. The one thing that was very clear in my mind was that there was absolutely no planning that went into anything ahead of time and I completely embodied living in the moment. If I was hungry, I’d go find something to eat. If I needed a pick me up, I’d go get some coffee. If I was stressed from my job, I’d go out and drink to forget about it. But in all seriousness, I think the bottom line is this. Back then I was only concerned with instant gratification and what I needed in the moment. Now, I understand the value of a balanced, less frantic lifestyle and actually look forward to planning ahead and putting some thought into how I approach my life. Are you more of a live in the moment or plan ahead type of person? How does this fit in with your healthy lifestyle? When someone asks me to join them in doing something or going somewhere, I have always had a really hard time saying no. It’s especially difficult for me when it’s something that I actually want to do, but by saying yes I’m either spreading myself too thin or not making enough time for me. Whenever I’ve talked with people in my life about this little problem, it actually surprises many of them. I’m pretty outspoken and often stand up for myself in the face of controversy, so why should it be difficult to recognize when I’m overextending myself? Even sitting here typing this right now, I cringe a little when I think about letting someone down by saying I can’t do something. I think a lot of this stems from the deep-rooted insecurities that are a result of being obese for so long, which I am still working through. Being heavy made me extremely fearful of rejection, because I assumed everyone would automatically reject me because of my weight. The last thing on Earth I wanted to do was actually give them another reason to reject me on top of my weight, so I’d just do or say whatever they wanted without giving much thought or consideration to what I wanted. I still worry a little too much about what other people think, but I’m trying to get better about it and recognize when I’m doing it. When I started to turn my life around, one of the big things I had to tackle was being able to say no to other people so I could make more time for me. I don’t want this to come out wrong – I’m not at all saying that going along with what others want is always a bad thing, because sometimes that’s what being a good friend, girlfriend, daughter, sister etc. is about. However, there is definitely a line you can cross when you’re saying yes to others and no to yourself too much, and for most of my life I’ve been over that line. But the truth is, sometimes you just have to say no. If you could tell from the beginning of yesterday’s post (subtle, I know) – this week is a little on the stressful side for me. Work has been crazy – I’m talking nonstop to the point where I didn’t eat lunch until almost 3pm yesterday because I didn’t have time to stop and grab my lunch out of the refrigerator. I have a bunch of obligations after work this week as well, including working for Weight Watchers tonight, a going away party for my boss tomorrow, and then leaving early Thursday to go to Philly for Easter. The one night I had the option of getting out of was last night, when it was a close friend from work’s husband’s birthday happy hour (say that ten times fast). I really wanted to go, but the happy hour was in the opposite direction of home and I knew I’d be out later than I wanted and far from home with one too many drinks in me when I was done. I had already told her I would go, but then yesterday as I was zipping through my day, I realized I needed to tell her I couldn’t make it and just take the night off. While that might not seem like a big deal for some, I honestly felt like a huge weight was lifted off my shoulders when I told her I couldn’t go and then realized I had a free night. And you know what I did instead? Stopped for a pedicure on the way home! Best decision of the day. 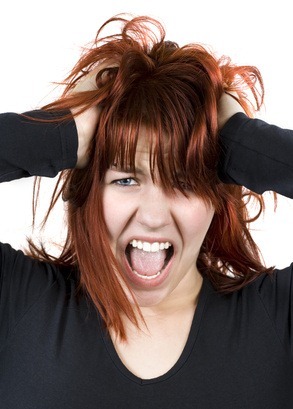 Do you have trouble saying no to people or are you generally pretty good about making time for you? This week I am SWAMPED, but I’m going to try to stick to the plan as best I can. My job is going to be crazy busy this week, my boss is leaving at the end of the week (!!! ), I have plans after work every single day, and then Thursday I leave work early to go to Philly for the weekend to celebrate Easter. Whew! I think at times like these it’s easy to just want to order in or go out for every meal and say I don’t have time for exercise, but I know that eating well and working out are the only way to stay sane. My goal for this week workout wise is to try to get 4 workouts in. I want to workout at least two times in the morning Monday – Thursday (one down from this morning! ), and then bring workout clothes for at least two workouts in Philly. One of those will be an outdoor run with my sister, and then hopefully The Shred (I’ve turned her onto it!) and/or a walk outside. Food wise, this week will be pretty boring for me, but that’s OK every once in a while. I wanted to make something last night that would be really good as leftovers, so I threw together a huge batch of delicious quinoa salad that we ate out on the balcony for dinner last night and have lots of leftovers of. I’m planning on eating the leftovers straight up, having some in a wrap and then making some into patties later in the week. I’m putting the recipe up on Thursday along with my first cooking tip video, so get excited. I also prepped some wheat berries, which will be great for quick breakfasts and to toss into salads for lunch/dinner, so hopefully this week will be smooth sailing, even if its insane. Thursday Wheat Berries, Greek Yogurt, Frozen Fruit Quinoa patty sandwich Travel Snacks – Trail Mix (choc chips, raisins, almonds), apple, banana Dinner Out w/my sisters in Philly! First stop for grocery shopping – Grand Mart, which is an international grocery store in Alexandria, VA that the boyfriend goes to a lot to get rare products for work. I’d never been there before Saturday and it was really awesome, but a little overwhelming. 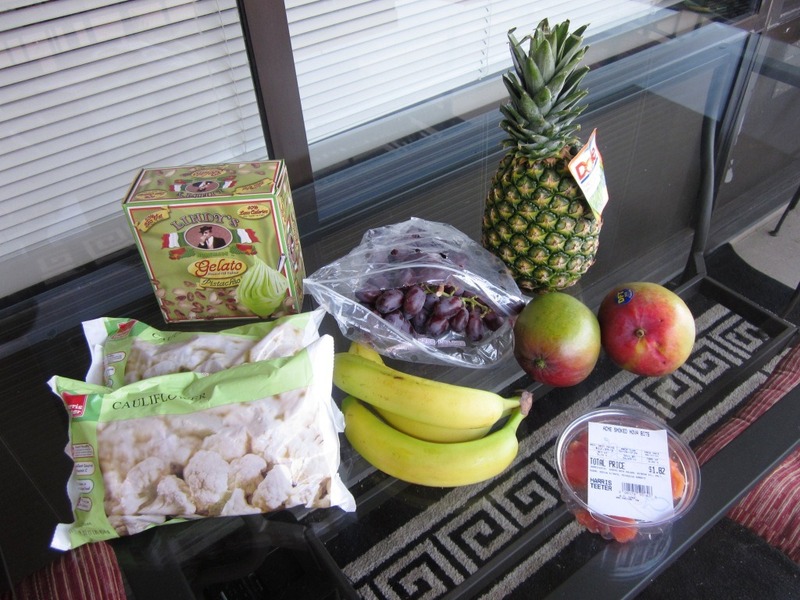 There was super cheap produce along with several aisles of unique international products, a few of which I couldn’t resist even though I didn’t really need them. I’m excited about the huge package of soba noodles because I love those and they were only $4 for a ton of them, and also the Indian millet. 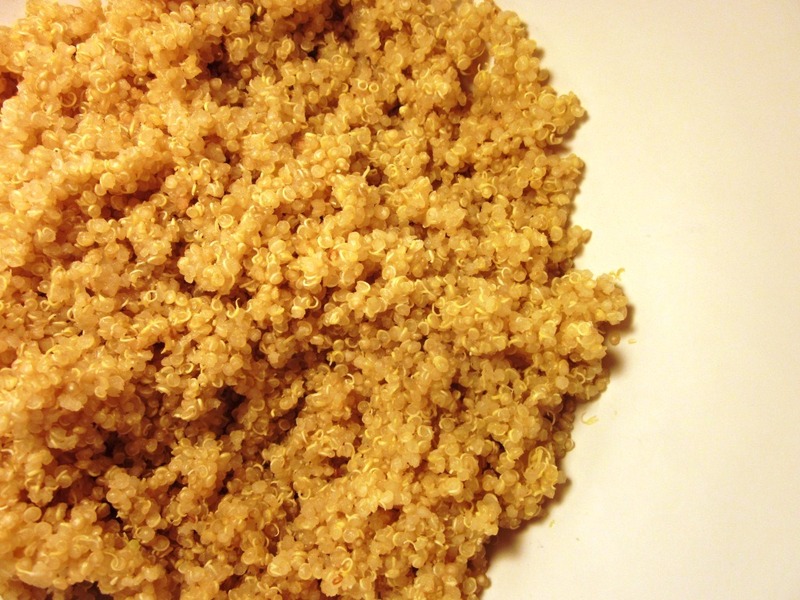 I’ve never had or cooked millet before and new ingredients are always fun to experiment with! The second stop was to my normal grocery store, The Teet, to grab just a few things. re on major sale so I couldn’t help myself. 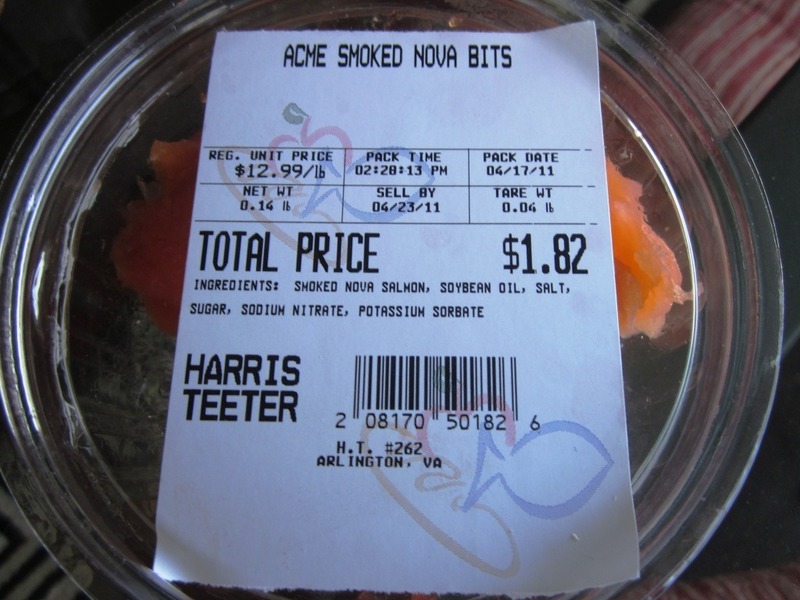 I’m planning on putting this on toast or a bagel thin with greek yogurt and dill for dinner tonight, which should take about 2 minutes to assemble. I like buying these small containers because its good for 1 portion and way cheaper than buying a big container. 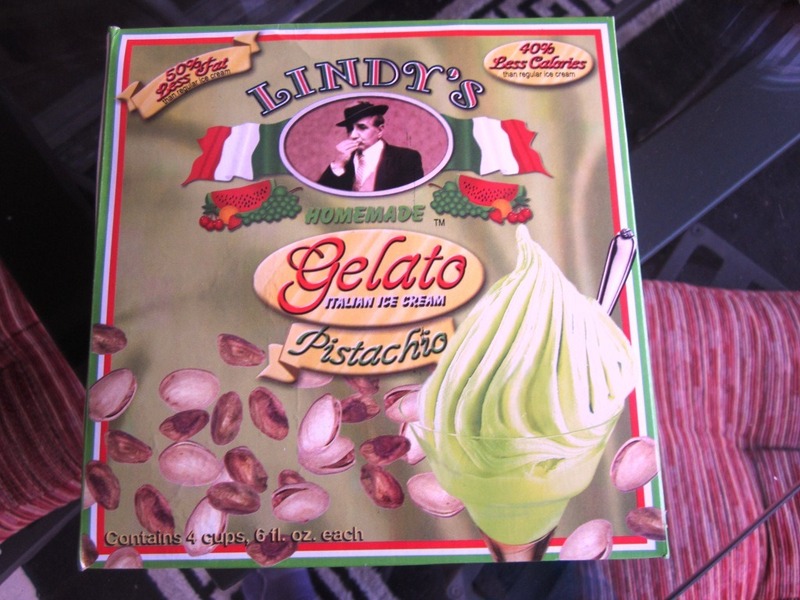 I also recently found these little pistachio gelato cups, and they are GOOD. Really creamy and delicious, and they have a shorter ingredient list than a lot of these types of things. 3 pts+ on Weight Watchers but they feel and taste really indulgent. Only $15 was spent at The Teet, bringing me wayyy under budget for the week at $41.15! That’s a good thing!! What’s your favorite dish to make that works well as leftovers? I tweeted about this and a lot of people responded with lasagna. I was thinking about making a bunch of my lasagna bundles, but now that the weather is finally coming around I wanted to do something lighter, so the quinoa salad was born!